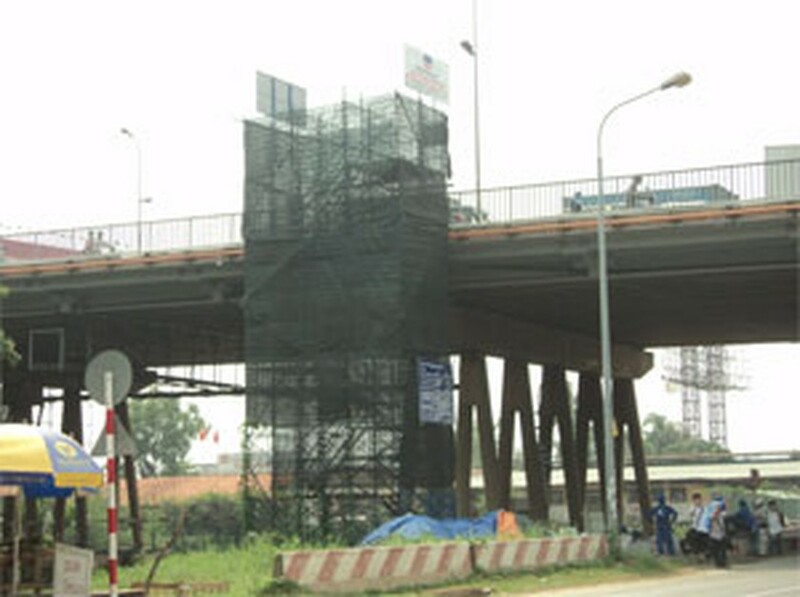 The Saigon Bridge - the gateway from HCMC to the Hanoi Highway – has been under repair since it was getting rapidly degraded due to constant overload. Dau Tu Tai Chinh Newspaper has caught up with Vu Kien Thiet, director of the Urban Transport Management Division No. 2, to interview him about whether the repair would cause traffic jams. Dau Tu Tai Chinh Newspaper: How is the condition of the Saigon Bridge? How is the repairing plan? Vu Kien Thiet: The Saigon Bridge plays a very crucial role of Ho Chi Minh City’s East-North gateway. Although the new bridges including Thu Thiem, Phu My and Binh Trieu, the Saigon Bridge still suffer a daily traffic overload, which reaches around 40,000-50,000 autos and hundreds of motorbikes. The 50-year-old bridge was put into repair for the first time 11 years ago and is in very poor condition now. The Urban Transport Management Division No. 2 gave green light to contractor Freyssinet Vietnam to start the repair on May 12th. The repairing project has an investment of VND64 billion (US$3.2 million) and is expected to finish in October this year. One of the bridge’s piles has sunk, moving some girders and reducing the bridge’s load-carrying capacity. The project contractor has strengthened the load-carrying capacity of the pole and readjusted the position of the girders. 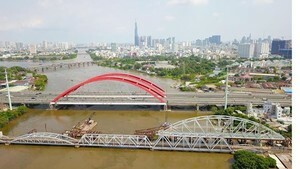 The Saigon Bridge’s rough surface also needs to be re-tarred. The repair project is being carried out in six months of the rainy season. Will the weather factor affect the progress and quality of the project? We do meet challenges of repairing the bridge in rainy season. However, the modern technologies of the project contractor Freyssinet Vietnam helped keep most works taking place below the bridge, which enabled vehicles to move along the bridge even during the repair. However, we have to limit the number of trucks with the weight of 25 tons or more in rush hours, which are from 6am to 9am and from 2pm to 9pm everyday. We also restrict vehicles with weigh of more than 1 ton, except of public transportation means including buses, during the time when we tar the surface of the bridge. There are three substitute routes for heavy truck drivers during the time when the bridge is repaired. The first route, which is suitable for over-25-ton trucks, starts from the Saigon Bridge – Hanoi Highway – East-West Highway – Provincial road 25B – East Corridor Road – Phu My Bridge – Nguyen Van Linh Street – Huynh Tan Phat Street – Tan Thuan Bridge – Nguyen Tat Thanh Street – Ton Duc Thang Street – Nguyen Huu Canh Street – to the other end of the Saigon Bridge. The second is from the Saigon Bridge – Hanoi Highway – Tran Nao Street – Luong Dinh Cua Street – Thu Thiem Bridge – Nguyen Huu Canh Street - to the other end of the Saigon Bridge. The last route is from the Saigon Bridge – Hanoi Highway – East-West Highway – Thu Thiem Bridge - Nguyen Huu Canh Street – to the other end of the Saigon Bridge.